Welcome to the website of Pétanque Wellington. On these pages you will find information regarding the game of Pétanque, also known as Boules or French Bowls, within the lower North Island of New Zealand. Please take some time to browse through the site and we welcome your feedback (webmaster@petanque.org.nz). The entry form for the Murrayfield Open Triples (19 May 2019) at Otaki is now available. Masterton’s forth defence of the Jacques Cochonnet Trophy was at home to Manawatu (third defence was against Silverstream, but Silverstream defaulted at the last minute due to lack of players). The home team had a good start winning two of the three first round games. In the second round Manawatu won two games, so everything came down to the third round. In the last round Masterton managed to win two games and finally beat Manawatu 5 games to 4. Masterton next stop is at Upper Hutt. Wanganui East club sadly advise the passing of Sue Gurr. Sue was a long standing member of the Wanganui East Petanque adjunct. She did a lot of work for the club and in particular ran the NZ Masters Games Petanque for many years. She represented Wellington Petanque in 2012 and 2013. Thirty players took part in the WPA Women’s Singles Championship played at the Manawatu Pétanque Club. The Trophy final featured Claire Bradburn against Christine Strichen. In a close final Claire beat Christine 13-10. The Plate final was won by Noeline Corley who beat Annick Le Guen 13-12. The Bowl final was won by Lee-Ann Bartrum who beat Carleen Fitzgerald. The Bowl Consolation final was won by Christine Daykin who beat Jan Haumaha. 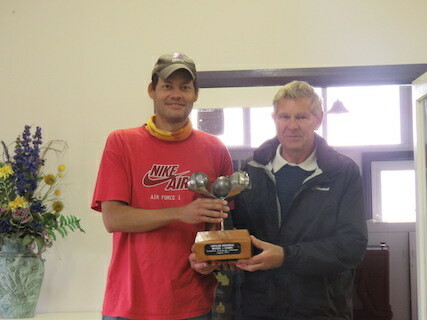 Twenty teams took part in the Sinclair Memorial Swiss Doubles tournament at the Manawatu Pétanque Club. Dave Gwerder and Moises Burgos were undefeated in winning the 2019 Sinclair Memorial Doubles. Three teams ended up with 4 wins. Noeline Corley and Yvonne Futcher were the runners-up on tie-break from Christine Daykin and Marc Khull (3rd place) and Derek Cooper and Paul Husband (4th place). Ten teams took part in the WPA Women’s Triples Championship played at the Wanganui Pétanque Club. The Trophy final featured Shirley MacDonald/Ann Hogg/Trish Biddle-Amoroa against Annick Le Guen/Yvonne Futcher/Monica Smiler. Shirley, Ann and Trish came back to win the Trophy final 13-11. They were also undefeated throughout the tournament. The Plate final was won by Christine Daykin/Trish Smart/Pauline Foxall who beat Kerry Gillam/Julie Satherley/Athena Christodoulaki 13-9. The Bowl final was won by Anne Peck/Mary Joblin/Sheryl Parslow who beat Noeline Corley/Judith Smith/Shona Callear 13-9. Twenty teams took part in the WPA Women’s Doubles Championship played at the Wanganui Pétanque Club. The Trophy final featured Carleen Fitzgerald/Barbara Nicholls against last year winners Annick Le Guen/Yvonne Futcher. Carleen and Barbara won the Trophy final 13-7 and were undefeated throughout the tournament. The Plate final was won by Trish Biddle-Amoroa/Michelle Maxwell who beat Ann Hogg/Shirley MacDonald 13-11. The Bowl final was won by Christine Daykin/Susan Gibson who beat Beryl Cowan/Anne Peck 13-7. The Bowl Consolation final was won by Ngaire Erikson/Lynne Shepherd who beat Mary Joblin/Lee-Anne Bartrum 13-5. The Saucer final was won by Wendy Lawson/Carol Tong who beat Jan Haumaha/Judy Tyree 13-5. The video of the 2019 WBS Open Triples final at Masterton between Sharon Cannon/Murray Porter/Brian Smith and Moises Burgos/Myles Cowper/Michael Rocks is now on YouTube. The first edition of the WPA Mixed Doubles saw a full house with thirty two teams taking part at the Manawatu Pétanque Club. It was a pretty intense day of pétanque where the finalist teams of each section played seven games. The Trophy final was won by Michelle Maxwell and Lee Taffard over Sheryl Parslow and Paul Anderson. This was Michelle's first Regional Championship and Lee's third consecutive Regional Championship. In the Plate final Claire Wilson and Brett Maguire came back to beat Sharon Cannon and Moises Burgos. The Bowl final was won by Barbara Nicholls and Alan Tylor who beat Margaret Pomana and Kevin Simpson. The Bowl Consolation final was won by Noeline Corley and David Corley who beat Lynne Shepherd and Brian Frampton. The video of the 2019 Kapiti Open Doubles final between Sharon Cannon/Michelle Maxwell and Murray Porter/Brian Smith is now on YouTube. The postponed Upper Hutt Swiss Doubles tournament was held on Sunday 17 March with a slightly reduced field owing to some people being unable to make the new date. However, there was still a good turnout with 16 teams competing. The Cup was won by Mike Kennedy and Michael Rocks on tie-break from Colin Gooch and Colleen Horton (runners-up) and Simon Grant and Bruce Stephenson (3rd place). The entry form for the Otaki Easter Mêlée (20 April 2019) at Otaki is now available. Eighteen teams took part in the Regional Triples Championship at Otaki, which was four more than the previous year. The Trophy final featured Yvonne Futcher, Tony Simpson and Alan Taylor against Grant Bray, Moises Burgos and Lee Taffard. It was a close final (7-9) until Grant, Moises and Lee pick a four to win their first Regional Triples Championship. Trophy Consolation was a battle between Paul Anderson/Trish Smart/Richard Turfrey and Steve Frampton/Ann Hogg/Shirley MacDonald. Paul, Trish and Richard won the battle. The Plate was won by Kathy Gatford/Tony Gatford/Lynne Shepherd. Second place was for Kevin McFadgen/Sheryl McFadgen/Barbara Nicholls. The Bowl final was won by Claire Bradburn/Debby Butler/Monica Smiler. Second place was for John Galbraith/Patricia Galbraith/Susan Robertson. Masterton’s second defence of the Jacques Cochonnet Trophy was at home to Horowhenua. The home team started strongly winning the three first round games. In the second round Horowhenua fought back and won two of the three games, but Masterton finished as strong as they started winning all three games to finally beat Horowhenua 7 games to 2. Masterton next defence is at home to Silverstream. Congratulations to Kapiti for winning the Champion of Champions Triples at Manawatu. 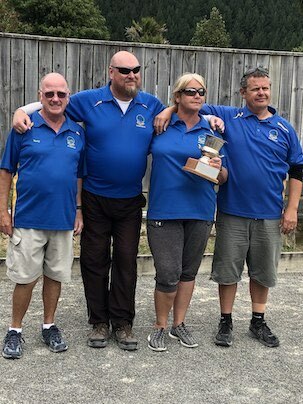 The Kapiti team (Grant Bray, Tony Gatford and Annick LeGuen) faced the Naenae team (Enoka Smiler, Monica Smiler and Lin Jackson) in the final. Kapiti beat Naenae 13-2 to take the trophy. Third and Fourth place was a battle between teams of the Upper Hutt area (Upper Hutt and Silverstream). Upper Hutt beat Silverstream 13-3 to take the third place. Otaki beat Wanganui East 9-8 to claim fifth place. Finally, Manawatu beat Horowhenua 13-4 for seventh place. The Regional Seeding points have been updated using the results from the 2018 Regional Doubles. Eight clubs took part in the inter-club competition played at Kapiti. There was a total of fourteen teams split into two divisions. Division 1 had eight teams (one from each club) and division 2 had 6 teams. Congratulations to Kapiti for winning the inter-club competition 2019. 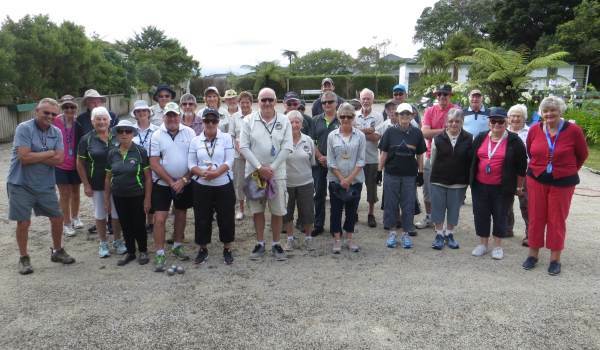 Twenty-two teams took part in the WPA Open Triples at Otaki on the 8th December. In a close final Murray Porter, Michael Rocks and Brian Smith managed to come back and win the Trophy final 13-9 over Steve Frampton, Ann Hogg and Shirley MacDonald. The Plate winners were Kathy Gatford, Tony Gatford and Lynne Shepherd who beat Liz Donaldson, Barbara Smith and Maureen Walker. Finally, the Bowl winners were Annick LeGuen, Christine Strichen and Claire Wilson who beat Alan Cameron, Ngaire Eriksen and Marc Khull. 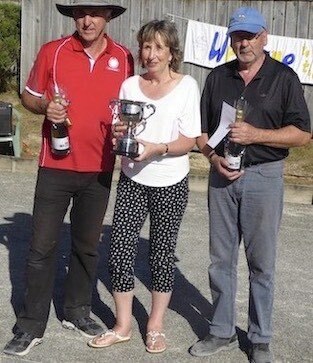 Murray Porter and Brian Smith won the Kapiti Open Doubles at the weekend. In the Trophy final they beat Sharon Cannon and Michelle Maxwell 13-8. The Trophy Consolation went to David Gatchell and Shirley MacDonald who beat Kevin and Sheryl McFadgen. The Plate final was won by Kathy and Tony Gatford over Moises Burgos and Lee Taffard. The Bowl was won by David and Trish Smart over Judith Smith and Christine Daykin. Twelve Wellington Region players have been named in the New Zealand Trans Tasman team to play against Australia. The match will be held in Newcastle, New South Wales, over the weekend of 16-17 March. Claire Bradburn, Ann Hogg, Shirley MacDonald, Angela Maxted, Sheryl Parslow, Anne Shields. Reserve: Kay George. Dave Gatchell, Tony Gatford, Bill Peachey, Richard Swaney, Lee Taffard, Paul Tamagushiku. Reserve: Merv Wilson. Trish Biddle-Amoroa, Sharon Cannon, Yvonne Futcher, Diana Glamuzina, Michelle Maxwell, Kathleen Wallace. Ian Baker, Myles Cowper, Allan Fletcher, David Lippard, Andre Noel, Nico Toyne. Trish Biddle-Amoroa, Tony Gatford, Diana Glamuzina, Michelle Maxwell and Paul Tamagushiku will make their international debut. The video of the 2018 WPA Open Triples final at Otaki between Steve Frampton/Ann Hogg/Shirley MacDonald and Murray Porter/Michael Rocks/Brian Smith is now on YouTube. Sixteen teams took part in the Khandallah Open Mixed Doubles. The weather was fine and a good time was enjoyed by all. 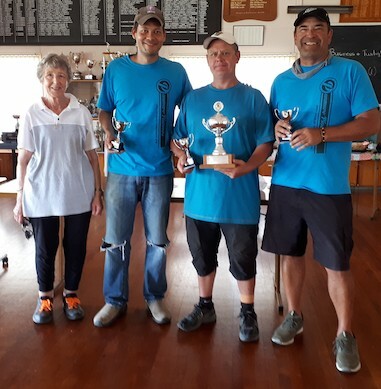 The trophy final featured the two undefeated teams Paul Bonsey/Lynley Watt (Upper Hutt) and Moises Burgos (Upper Hutt)/Michelle Maxwell (Kapiti). It was a close game until Paul and Lynley being down 9-8 picked up a 5 to win the trophy final 13-9. In the Plate section Adrienne and Dave Gwerder came back to win the Plate final 13-8 over Geoff and Linda Brown. Erica Drake and Andrew Joe won the Bowl final 13-5 over Robin Mann and Bruce Stephenson. The Cup final was won by Anne and Simon Grant who beat Sue Boaden and Bruce McDonald 13-6. Gary Brunton and Claire Wilson. Beautiful weather and 56 entries made for a great start to the new year. Congratulations to the winner and thanks to everyone who took part. Report and photo: Ann Hogg. Upper Hutt Maidstone Mêlée had a total of 36 entries locally and from Haitaitai, Kapiti and Naenae. Despite some pretty heavy rain the day before, the pistes were clear of any residual water although one or two pistes were quite damp. The weather was fine for the most part and a good time was enjoyed by all. 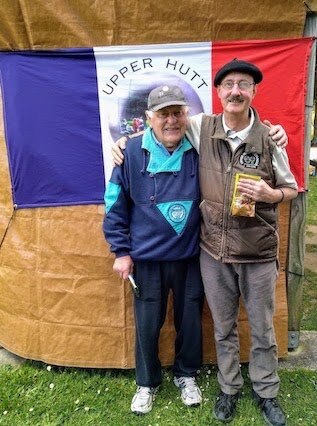 The first boule was thrown by Upper Hutt Mayor, Wayne Guppy. The winner on plus 31 was John Clarke (Upper Hutt) and second was Emiel Smeets (Upper Hutt). Well done to both of them. Special thanks to Eileen Murray for acting as scorer for the day. Likewise to all who helped set up and tear down and put away. Also thanks to food donors and the raffle organisers. A belated congratulations to Enoka and Monica Smiler (Naenae) who won the Champion of Champions Doubles at Horowhenua. 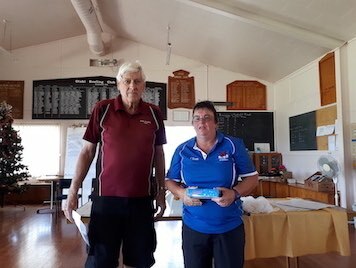 Twenty-two teams took part in the Regional Senior Doubles Championship at Kapiti on the 7th November. The Trophy final was won by Dave Gatchell/Ann Hogg against Kathy Gatford/Tony Gatford. The Plate final was won by Ian Calder/Dave Kitchener against Adrienne Gwerder/Dave Gwerder. The Bowl final was won by Marlene Barker/Julie McDougall against Liz Donaldson/Barbara Smith. Twenty-five teams took part in the Regional Doubles Championship at Horowhenua, which was four more than the previous year. The Trophy final featured Myles Cowper and Michael Rocks against Moises Burgos and Lee Taffard. Lee and Moises took an early lead that they held until the end to win their first Regional Championship. The Plate final was won by Christine Strichen/Claire Wilson against Carolyn Graham/Shirley MacDonald. Graeme Morris/Lynne Shepherd defeated Dave Gwerder/Linda Millard to win the Bowl final. 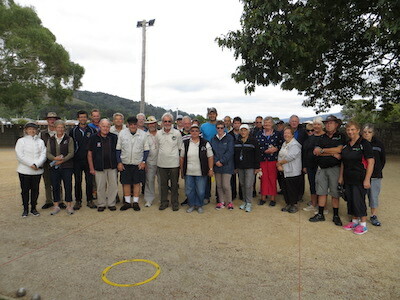 The revised New Zealand interpretations of the Petanque Rules as at January 2019 can now be found here. The entry form for the Hawke’s Bay Autumn Triples (11-12 May 2019) at HBLTS, Napier is now available.